1. 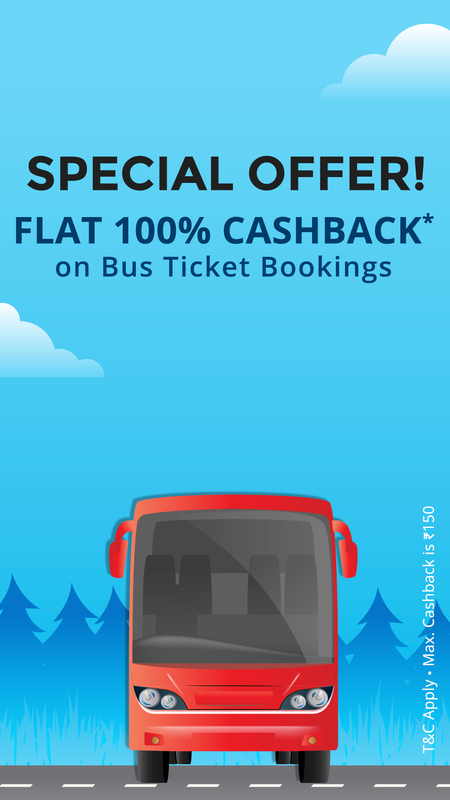 User gets 100% Cashback up to Rs 150 on bus ticket booking. 2. Offer is valid for one-time usage per user. 3. Minimum order value for bus ticket booking is Rs 150. 8. According to RBI's new guideline,users who have not undergone Paytm KYC will not receive cashbacks in their wallets.